Or view larger version. 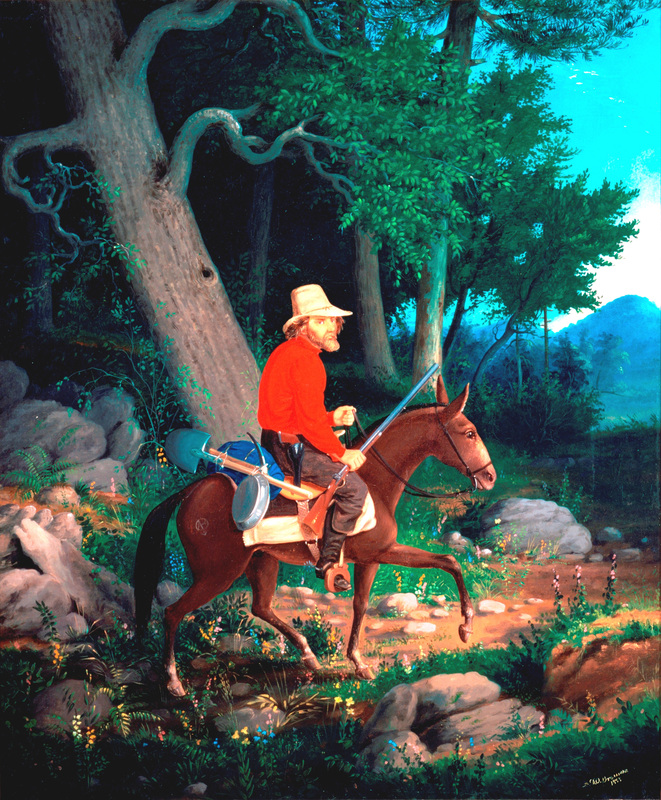 The Lone Prospector. 1853. Alburtus Del Orient Browere, artist. Oil paint on canvas. Collection of Oakland Museum of California. Loaned by Hideko Goto Packard Family Trust.